I was quite surprised to see that I was Freshly Pressed yesterday! It definitely made my day and excited me to no end! The comments seemed never-ending (and I did my best to answer each person), the likes kept on coming, my followers practically tripled, and my view bar literally went through the stat’s roof! So, thank you WordPress! I thank you for choosing me as a Freshly Pressed blog. I also want to thank you to everyone who commented, gave extra sleeping tips and advice, and just took the time to read my post. I appreciate it! Also, thank you to my followers and WELCOME to my new followers. I hope I will provide you with posts that you enjoy reading! 1) Thank the blogger who gave you the award by linking back to them. 2)Reveal your top 5 picks for the award and let them know by leaving a comment on their blog. 4) Bask in the love from the most supportive people on the Internet–other writers. 5) And best of all–have fun and spread the karma! First though, before I give this to 5 other blogs, can anyone please tell me what a Liebster is?! If you can, I will thank you, thank you, thank you too! 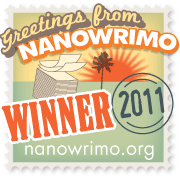 So, on to the 5 blogs I wish to award this to (in no particular order). Should Be Reading – This blog provides me with my daily book memes. For all you book lovers out there who want to talk about books and share your current reads, this is a blog that you should follow! 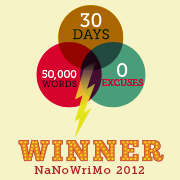 Limebird Writers – I love this blog and I check it daily, especially now during NaNoWriMo time. They have different bloggers who post, but every post contains amazing writing tips, inspiration or motivation. For those writers out there, this is a great blog! Classy Gallie – Literally LAUGH OUT LOUD FUNNY, this blog and blogger are amazing. She’s hysterical and her posts always contain some kind of picture and tag that will cause milk to squirt from your nose. She’s one of my favorites! Animal Couriers – I love this company and I love their blog. You can tell that they aren’t just an animal travel agent, but that they truly do love animals. The pictures and stories of each animal traveler is definitely worth a look! 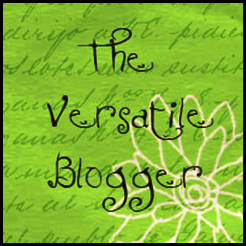 And these wonderful blogs get my vote for them recieving the Liebster Award! Again, what is a Liebster?! Once again, thank you, thank you, thank you All! Posted in Random and tagged 50 year project, animal couriers, blog, blog of the day, blogging, classygallie, favorite blogs, fresh pressed, freshly pressed, liebster award, Liebster blog, Liebster blog award, life, limebird, limebird writers, my favorite blogs, my gratitude, my thanks, photo, photos, picture, pictures, post of the day, rumpydog, should be reading, thank you, thanks, the world, thoughts, wordpress. Bookmark the permalink. Congrats on being Freshly Pressed! That’s awesome. What a great start to the week. Wow! What a privilege! Thank you so much Kalie and congratulations! 😀 I shall tell all my Limebird Writers! The Liebster Blog Award is given to bloggers who have less than 200 followers, all in the spirit of fostering new connections. Leibster is German & means ‘dearest’ or ‘beloved’ but it can also mean ‘favorite’ . Oh, how cool! Thanks Beth for letting me know what it actually means! No problem. A little sneaky google search! Congratulations on being Freshly Pressed AND on winning the Liebster Blog Award, nicely done! Oh Dog! You made Freshly Pressed? That is PAWSOME! And thanks for the award!